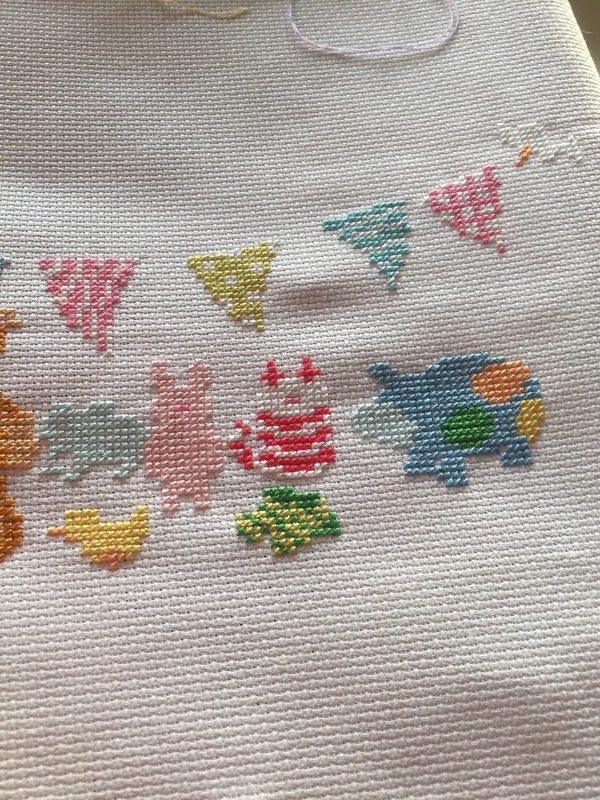 Better late than never… a birth sampler for my 4 year old! 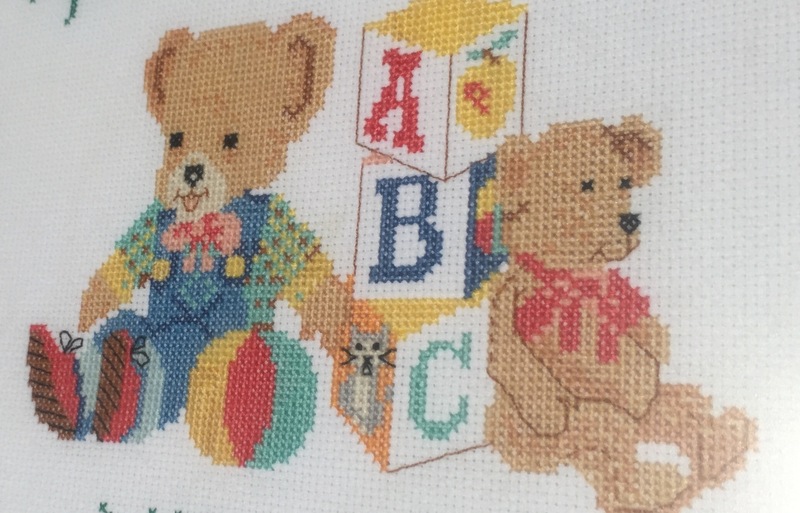 It was treasured and hung in No 1 son’s nursery. It has moved with us from house to house over the years and now hangs in a corridor near the boys’ bedrooms. Fast forward a few years and No 2 son put in an appearance. 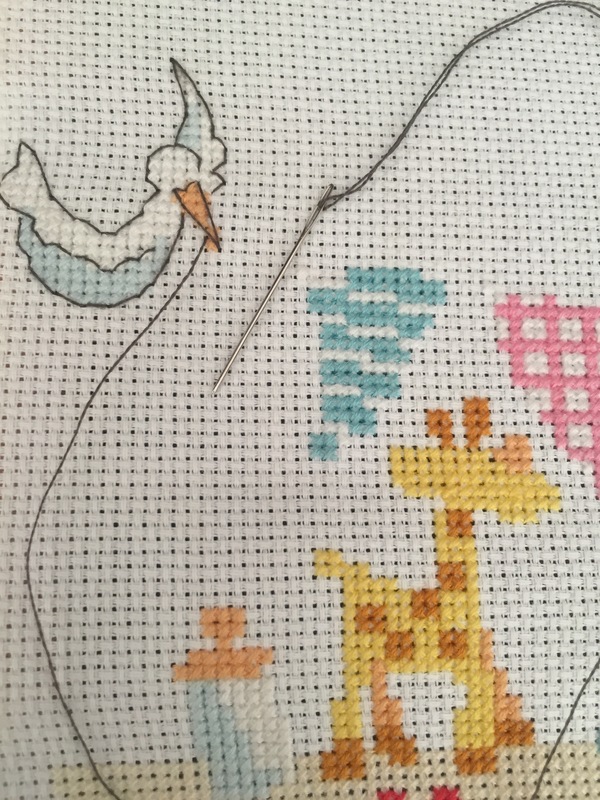 In an attempt to be fair and make sure each child has the same treatment, I set about making a cross stitch sampler to mark his birth too. However, having moved countries (England to Gibraltar) and juggling two young children, time wasn’t on my side so at the ripe old age of 2 years old I began his sampler. 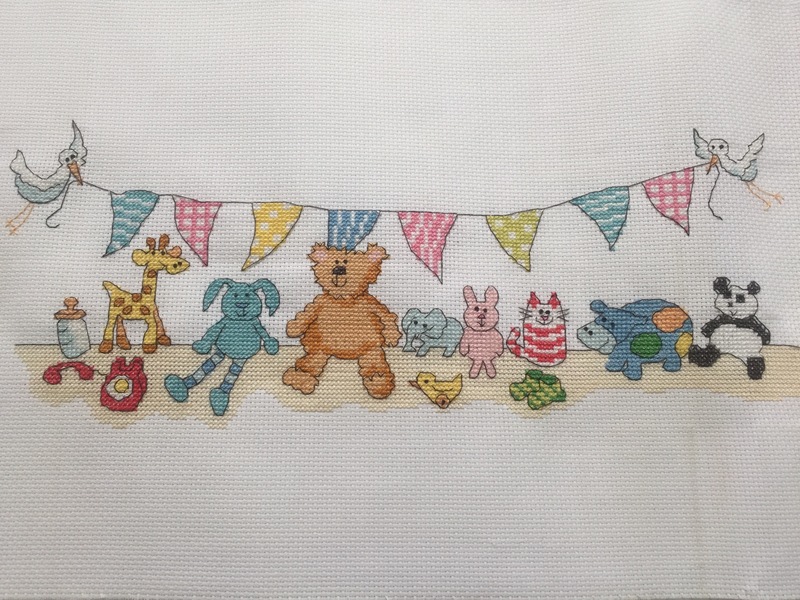 As he was now officially a toddler rather than a baby, I chose a slightly more ‘grown up’ design than teddy bears opting for jungle animal name plate kit from Daisy Designs. It took about a year to complete and eventually both he and I were pleased with the results. Once framed, it hung on his bedroom wall, where it remains to this day. Fast forward another few years and No 3 son arrived. 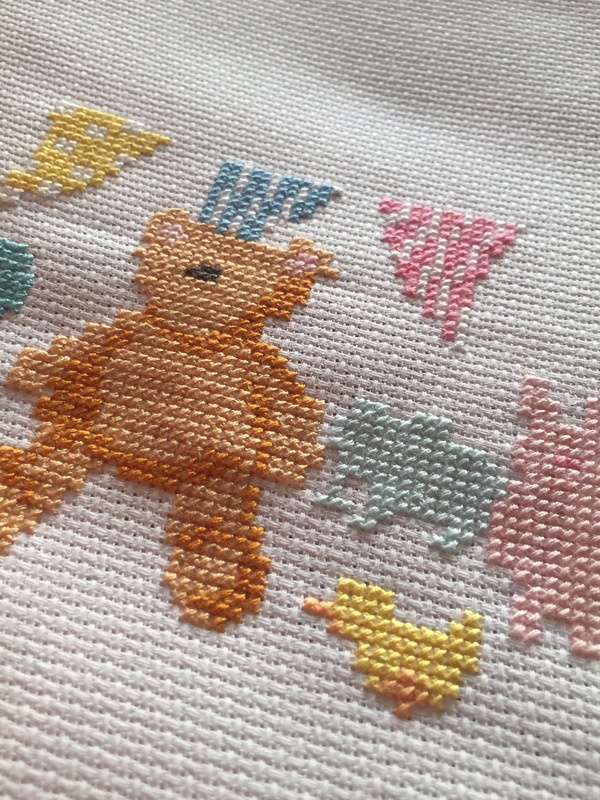 I’m afraid that for quite a while, crafting took a back seat and although I always meant to get around to doing a cross stitch picture for him, it just didn’t happen until he was … 3! 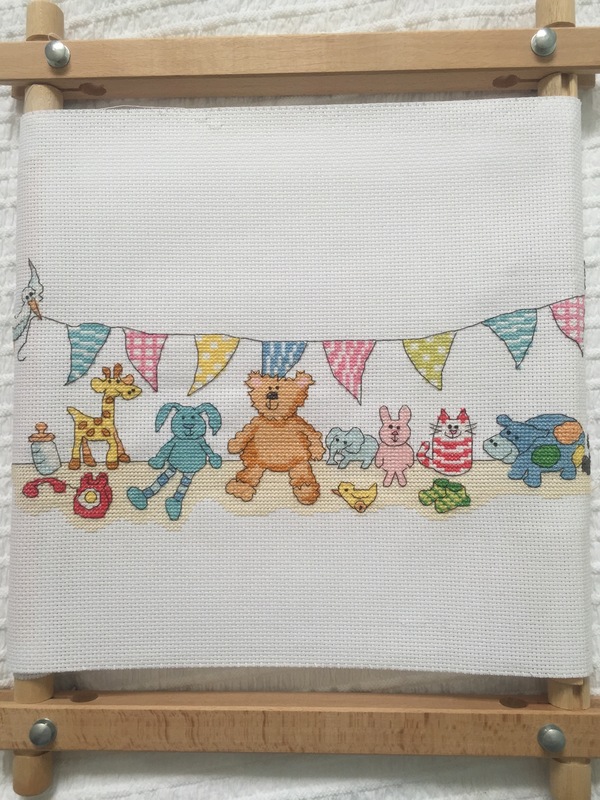 The kit by Bothy threads, although quite ‘baby-ish’ for a 3 year old had a very important feature; a giraffe! 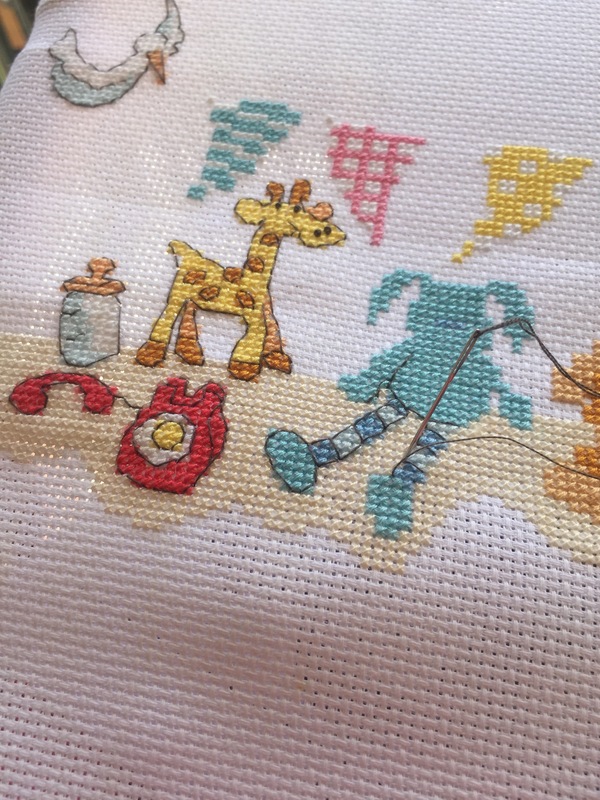 My LO has a very special friend in the shape of a cuddly giraffe very similar to the one in this pattern – decision made! And so, just over a year ago, I began. It started on our summer holiday in England last year. I made great headway, then stalled…. for most of the year. You may remember seeing this photo featured in my post WIP Mountain! 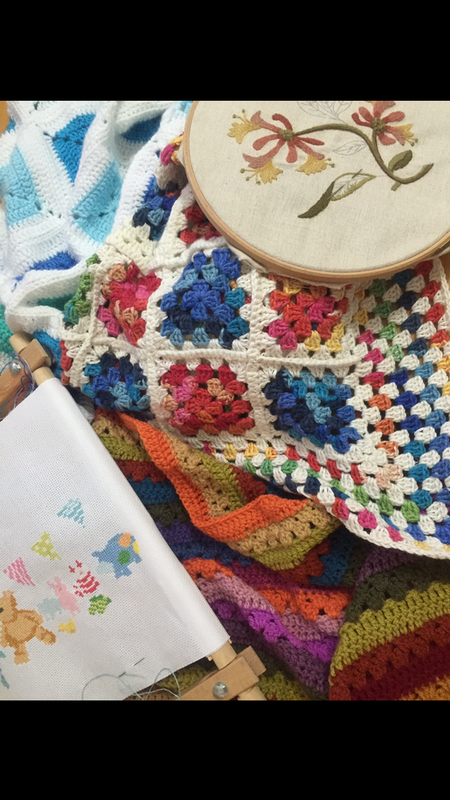 It spent an awful lot of time at the bottom of my pile of projects to complete, but I think writing about them all spurred me back into action and so, instead of embarking upon another new project (which I am supremely good at) I decided to make this summer a time to complete one or more of my old ones! While in England this year, I finished the animals and began the shelf they were sitting on. 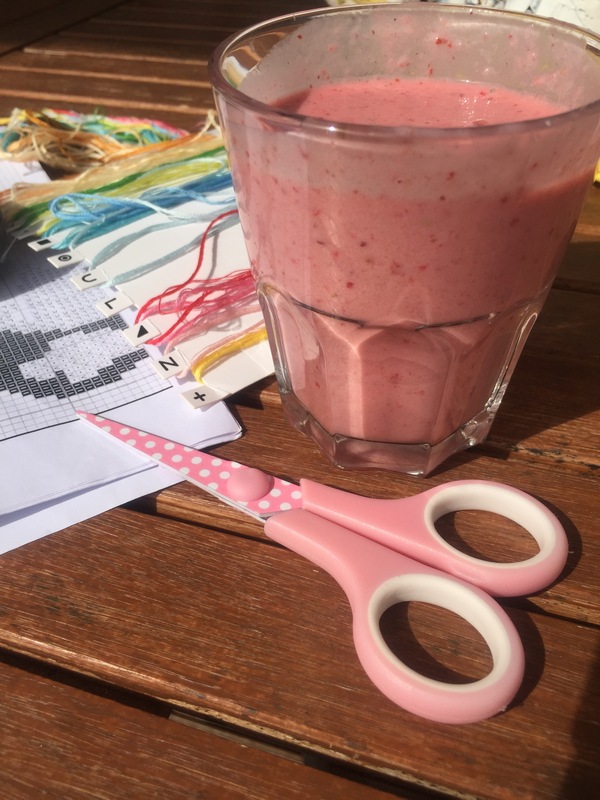 Fueled by gorgeous homemade strawberry smoothie, Operation Cross Stitch continued in Portugal! 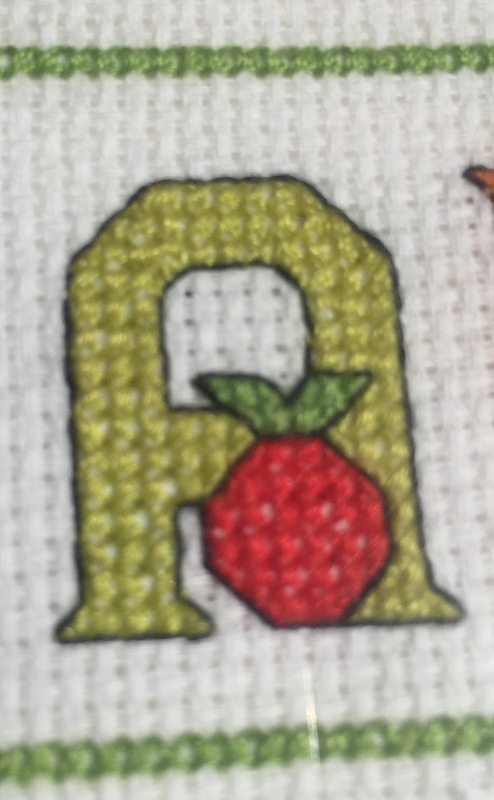 Then that magic moment came when you stop cross stitching and start working on the outline/accents – my favorite bit! 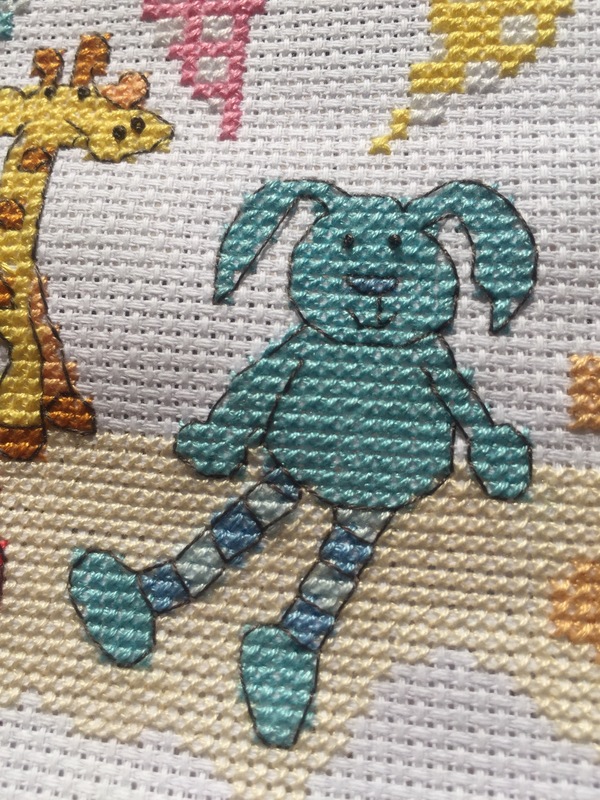 I love the way that the outline and details transform blocks of colour into little creatures with personality! 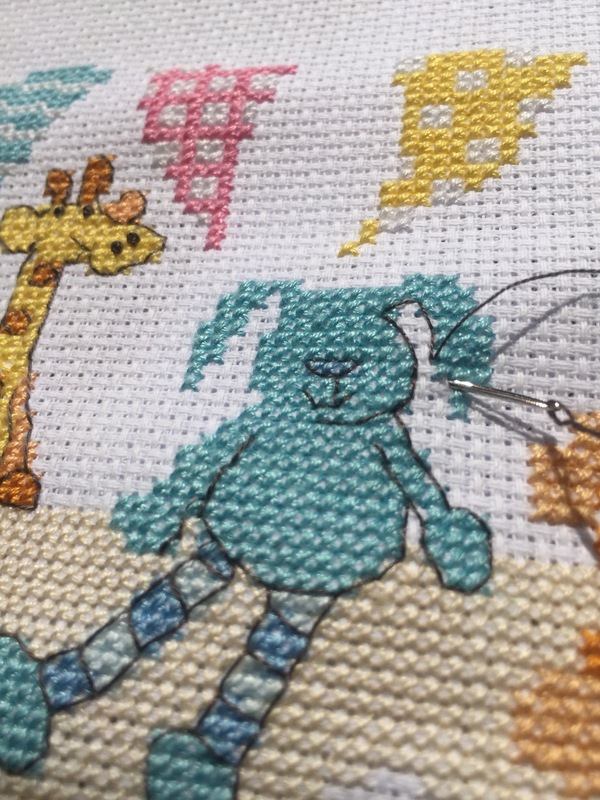 Just look at how this little blue rabbit comes to life with a few stitches. I think he’s really rather sweet! So at long last, I’m very pleased to say I’m almost finished. It’s just waiting for the name and birth date to be added then it’s off to the framers. 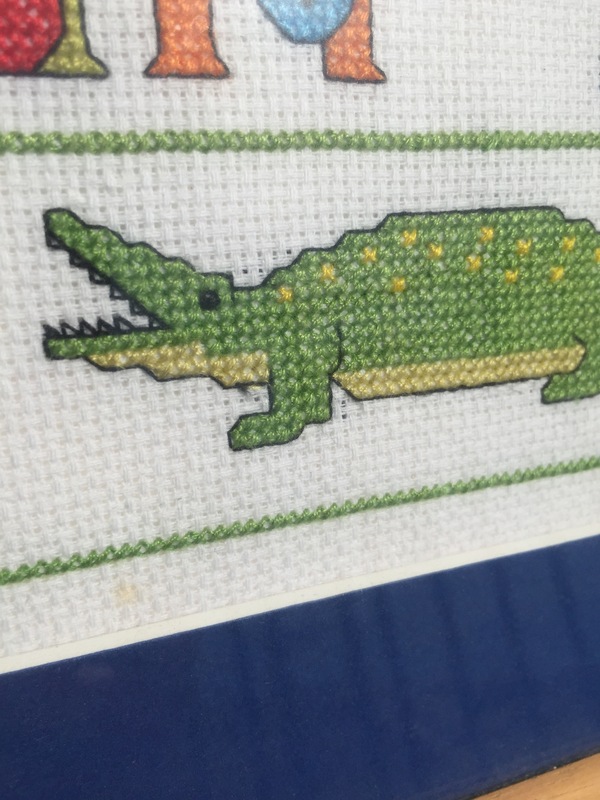 Very soon, my conscience will be cleared and my youngest won’t be the only child NOT to have a cross stitch picture. 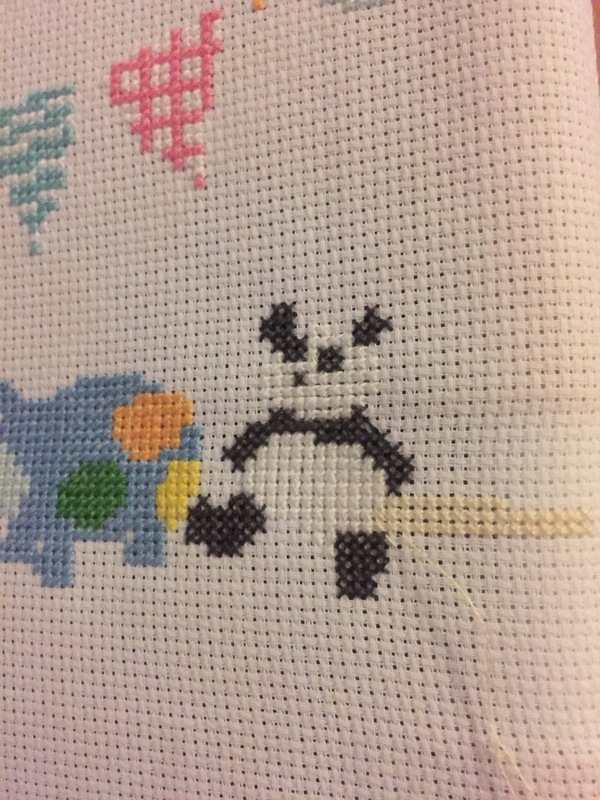 He’s not that interested in it right now to be honest, but perhaps one day when he’s older and has children of his own he might be glad I made this for him.